Making a Will tells everyone what should happen to your money, possessions and property after you die (all of these things are known as your ‘estate). If you don’t have a Will in place, the law will decide how your estate is passed on – and this may not be in line with your wishes. Without a will, the process can also be more time consuming and stressful for your spouse and / or family members to manage. 1) A will makes it much easier for your family and friends to sort everything out when you die. 2) If you don’t write a will, everything you own will be shared out in a standard way defined by the law – which isn’t always the way you might want. 3) A will can help reduce the amount of inheritance tax that might be payable on the value of property and money you leave behind. 4) Writing a will is especially important if you have children or other family who depend on you financially, or if you want to leave something to people outside your immediate family. A Will is a legal document that contains your instructions for how you want your property, money and possessions (known as your ‘estate’) to be distributed after your death. It names the people you want to benefit, as well as details of your possessions at the date of your death. When you die, your assets (money, property and possessions) become part of your ‘estate’. In your Will you should identify someone who will be responsible for making sure that the Will is carried out as written and that the assets are distributed as directed. This person is known as the ’executor’. The executor can hire someone else, usually a solicitor, to do this job. Generally, a solicitor charges a fee for this service, calculated on the basis of how much time they spend on it. Every adult should have a Will. Without one, you are considered "intestate," which means your estate will be distributed according to the ‘rules of intestacy’. In England and Wales, there is a statutory set of rules that are enforced if you die ‘intestate’ dividing your estate according to set criteria, irrespective of what your intentions actually were. This basically means your estate might not be divided in the way you expect or want. Without a Will, the court will decide who has the legal right to deal with your affairs if you die. Does my Trust money form part of my estate? Any Trust grants that you have drawn down will form part of your estate, as well as any Annual Grant monies not yet drawn down. However, if you have any money held at the Trust in your Health Grant account, or if you have a ‘memorandum account’, these funds will revert back to the Trust and will not form part of your estate. 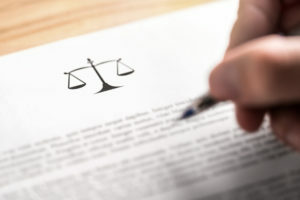 You can write your Will yourself, but this is not recommended as there are various legal requirements that need to be satisfied to ensure that it is valid. You should definitely seek legal advice if your Will isn’t straightforward (see ‘When would I need to seek legal advice?’ section on the Factsheet available below). What should I consider when writing my will? For example, property, savings, occupational and personal pensions, Annual Grant funding held for you by the Trust, insurance policies, bank and building society accounts and shares. However, you don’t need to set out these assets, as a specific list, in your Will. You should make a list of all the people you want to leave your assets and possessions to. Who should look after any children under 18 and any other dependents. You may need to consider making financial provision for other family members, not just children. Who is going to sort out your estate and carry out your wishes as set out in the Will. This person or people is/are known as the ‘executor(s)’. What happens if the people that you want to benefit die before you. Your Will must be signed and witnessed by two independent people in order for it to be valid. If some of the beneficiaries of your will die before you do, you or your power of attorney will need to contact your solicitor to make sure that this does not invalidate the will – as there are certain legal requirements that need to be complied with. Download our factsheet for more information about making a Will, and how to make sure it is legally valid.